Course leader of Media and Environmental Communication and senior lecturer in Visual Media Practice, Patricia Prieto Blanco has won the IVSA Rieger Award 2018 for exceptional work in visual sociology. 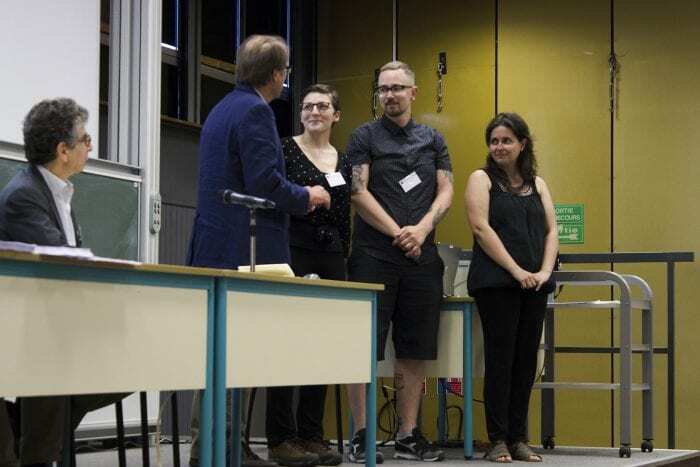 The Award was presented to Patricia during the 2018 IVSA conference in Evry (Paris). Patricia’s piece “Transnational (dis)affect in the Digital Age. Photographic practices of Irish‐Spanish families living in Ireland” was deemed to have powerfully combine her Media background with a critical approach to family photography, intimacy and kinship ties, multi-culturalism, migration and digital technologies. This entry was posted in Media, Staff and tagged IVSA Rieger Award, Patricia Prieto Blanco.